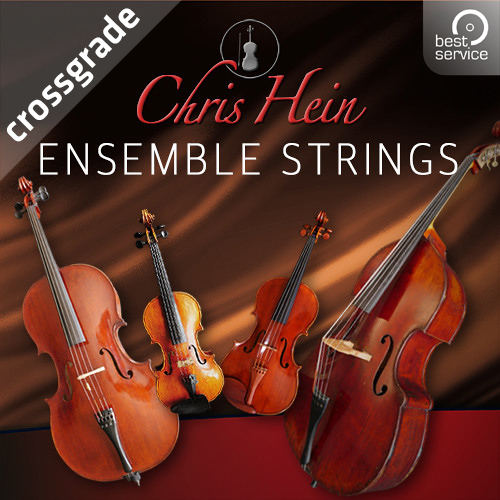 Chris Hein – Ensemble Strings have been compiled out of a pool of over 120,000 samples of violins, cellos and double basses being combined to harmonic ensembles. Each individual recording was carefully adjusted in tuning and timing as well as placed in the stereo panorama. Subsequently, these files were mixed with other recordings (naturally in 24 bit resolution) to build up an ensemble. Because of this procedure, articulations such as pizzicato or col legno can be played in "loose" and "tight" versions. *Kontakt Player 5.7 or newer required.